Butler Plumbing Heating & Gasfitting Ltd. is your dependable, up front and honest Edmonton plumber. We have been described as one of Edmonton’s best kept secrets. Established in the spring of 2005, Butler Plumbing was started by two coworkers Paul Amyotte and Kevin Korte, working out of two old vans! Butler Plumbing was able to grow so quickly because of our dedication and commitment to all of our customers. Butler Plumber prides itself on being a plumbing company that you can trust. Our expert staff come with over 30 years of experience and are ready to take on any project big or small. We service any size plumbing emergency throughout the Edmonton, St. Albert, Sherwood Park, and surrounding areas. Each Butler Edmonton plumber is dependable, up front, and honest. We have your best interest at heart and will work quickly and effectively to resolve your plumbing emergency. Our valued customers count on our high standards of quality service and workmanship. When you require a trustworthy and skilled Edmonton plumber, you know that you can depend on us. Butler Plumbing is your top choice for plumbing companies in Edmonton. Leverage our 30 years of experience for all of your plumbing repairs and renovation projects. Whether you require residential plumbing or commercial plumbing services, we are the plumbing company you can count on. We help keep your plumbing and heating operating at optimal performance levels. If everything functions properly, you will save money in the long run. Each Edmonton plumber strives to keep you and your home functioning for as long as possible. Butler Plumbing is your number one choice for plumbing companies in Edmonton and we are always here to help you trouble shoot. We take the time to answer all of your questions because we want you to be fully informed of all your plumbing requirements BEFORE we start any job. Routine maintenance and plumbing repairs are so important to keeping your home preforming in top form. 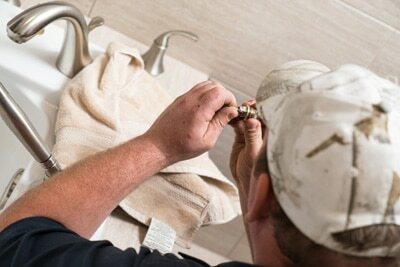 We are plumbing repair experts with experience in both residential plumbing, as well as, commercial plumbing services. 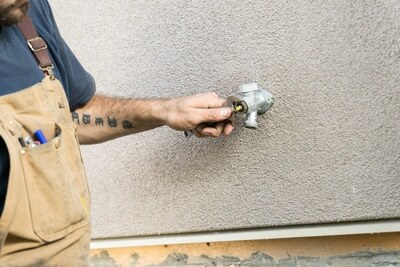 While there are some quick fixes you can do on your own, having the expertise of a professional plumber is invaluable. Routine maintenance can help you to save money over time and catch problems before they become major issues. With our years of experience, we are an Edmonton plumbing company who has seen it all. With the exception of Hot Water Tanks, all of our service work is done by the hour. We ensure that you get the best bang for your buck by having a fully trained and supported staff on hand. Larger renovations or plumbing repairs require a written quote which is agreed upon by both us and the customer before the job begins. We know just how important it is to know exactly what is going to happen before you get started. One thing that we know for sure is that plumbing emergencies and repairs never happen at the right time. We will work with you to provide you with the best possible time. Each highly skilled Edmonton plumber stays on site until you are satisfied that the job is done to your standards. No job is too big or too small for us. At Butler Plumbing, we are here for you no matter what your plumbing repair issues may be. We promise to help you from the moment that we answer your call, to the moment we leave your home or business. Butler Plumbing, Heating & Gasfitting is the only Edmonton plumber that you need to call!